The day after Thanksgiving I took a little trip to Vermont with mom and sis to find a Christmas tree. We thought we’d be rustic (or something) this year and chop our own…at a tree farm of course. 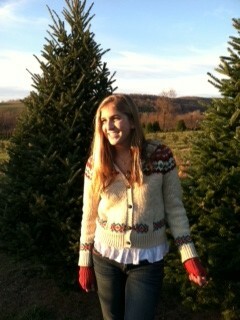 It was a sun soaked day and we found ourselves a sturdy flushed out Frasier fir. 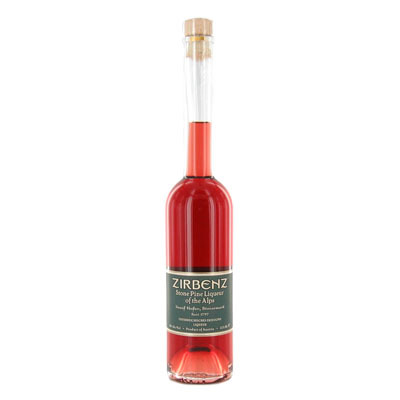 The excursion got me thinking about the Alpine liqueur, Zirbenz. The feel and smells of the Bennington farm were inspiring, though we were quite far from the Austrain Alps where the liqueur’s base, fruit cones from the Arolla Stone Pines, have been harvested for generations. Zirbenz, made by Josef Hofer, is the perfect treat after a day of hitting the slopes by ski, sled, or boot, a reward for shoveling snow, or simply trundling home in the cold after a hard day’s work. It is really unlike anything else- the floral cedary scent of fresh pine. Close your eyes and conjure the aroma- I’m sure you can imagine. The palate is similar- easygoing with a slight yet expected sweetness and faint but perfectly bitter finish. Serve straight with a bit of ice, or in a cocktail. Try with gin and a lemon twist, or rye and fresh mint. The new hot cocoa! Looks like it is currently on sale with the folks at www.drinkupny.com. (Little sis doing her thang…among the pines).